• 800,555 acres already legally closed via Congressional direction, including designated wilderness, permitted ski areas, campgrounds and administrative sites. • Final Environmental Impact Statement decision closes an additional 1,281,726 acres through management direction. • Decision closes 61,000 acres of lands on the forest considered “high potential” for oil and gas development, primarily in the Thompson Divide/Four Mile area. Most of the 217,352-acre reduction in White River National Forest lands available for oil and gas leasing under a newly released management plan relates to low potential for development and lack of interest among energy companies, according to WRNF Supervisor Scott Fitzwilliams. The removed areas include parts of the forest in the western reaches of the Flat Tops between Rifle and Meeker where no leasing occurred over the past two decades under the former plan, Fitzwilliams explained in a recent interview following his Dec. 9 decision regarding leasing on the area forest for the next 15 to 20 years. 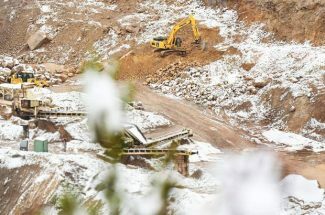 The major exception is the removal of 61,000 “high potential” acres in the Thompson Divide area south of Glenwood Springs and west of Carbondale. That land on the eastern fringe of the energy-rich Piceance Basin will be off limits to new leasing under the plan and also is where the Bureau of Land Management is reconsidering about two dozen previously issued leases. There, Fitzwilliams said his decision came down to the will of the vast majority of people who commented during the formal environmental analysis. Overall, the new leasing plan, which is still subject to a 60-day objection period, reduces the acreage in the 2.2 million-acre forest available for new leasing by more than half, from 411,475 acres under the former 1993 plan to 194,123 acres in the new plan. Much of the acreage still open for new leasing is in the southwestern portion of the forest straddling Mesa and Garfield counties, where natural gas development has proven to be productive, and where the needed infrastructure already exists. It includes the area where most of the 65 existing leases under separate review by the BLM are located. Regarding the Thompson Divide, Fitzwilliams reiterated comments he made at a recent meeting organized by the Thompson Divide Coalition (TDC) in Glenwood Springs, saying the decision was his own, based on the input received, and was not influenced by politics from above. The rationale in this case was due to the many other natural, agricultural and recreational resource values that warranted preserving the area from energy development, at least for the term of the new leasing plan. 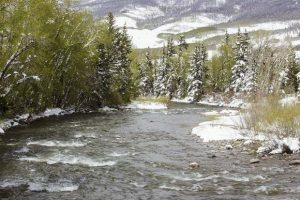 “Throughout the process of arriving at this decision, public comment from scoping, meetings, conversations and workshops held over a four-year period confirmed to me that the White River National Forest is strongly valued locally, regionally and nationally for the existing natural character including wildlife, fish, ranching, recreation, air quality, and sense of place,” Fitzwilliams wrote in his official Record of Decision. In particular, the Four-Mile/Thompson Divide area is “a special place,” Fitzwilliams wrote in reference to the roughly 221,500-acre swath of land stretching from Four Mile Park near the Sunlight Mountain ski area on the north to McClure Pass on the south. It’s an area that has been the focus of a more than six-year effort led by the TDC, a coalition of citizens, ranchers, recreation users, outfitters and conservation groups, to prevent natural gas activity in the mostly roadless, undisturbed region. The ruling has since been applauded by the TDC and various environmental groups as a huge victory in the Thompson Divide effort, and one that could influence the pending BLM decision whether to cancel about two dozen existing but undeveloped gas leases in the region that were issued under the former plan. “The Forest Service decision is a clear indication that overwhelming public support for protecting Thompson Divide can and should carry significant weight under NEPA,” Zane Kessler, executive director for the TDC, said in reference to the federal environmental review process that guides both the Forest Service leasing decision and the BLM’s separate review of the existing leases. “We’re hopeful that BLM will hear our pleas and follow path laid out by the Forest Service,” Kessler said. The Thompson Divide “is not a game-changer” for the oil and gas industry at a time of abundant natural gas supplies and low prices, said Kessler, who points to the WRNF’s 2013 Annual Report to support his argument. According to that report, the total market value of oil and gas produced on the entire forest during 2013 was $9.1 million, while the subsequent federal oil and gas royalties from that production was $1.1 million. “In contrast, existing uses in Thompson Divide, which is less than 10 percent of the total forest’s acreage, generate some 300 jobs and $30 million in economic outputs every year,” Kessler said, referring to a recent economic analysis commissioned by the TDC that looked at the impacts of ranching and recreation in the region. 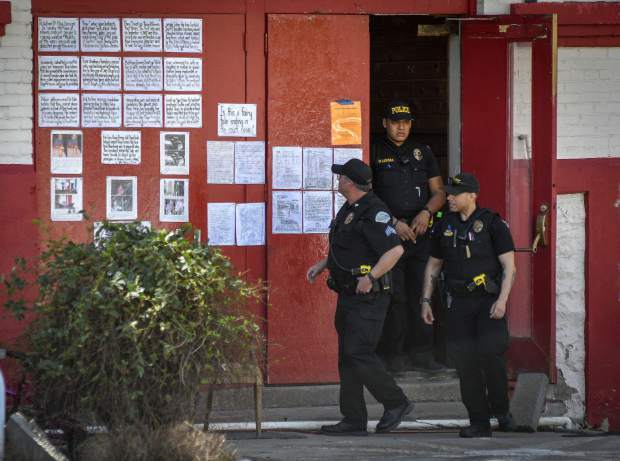 “These numbers help to provide an important perspective that is often lost in the rhetoric,” Kessler said. Still, the leading industry group representing energy companies that operate in the Piceance Basin has been critical of Fitzwilliams’ decision, saying he caved to political pressure. Further, the Forest Service decision could jeopardize existing leases on other parts of the WRNF west of the Thompson Divide area that are part of the same BLM review, Ludlam said. “These new restrictions on future leasing could be the pretext for canceling any of the leases that are under consideration,” he said. Fitzwilliams defends his decision, saying it does leave those areas of the forest open for leasing where natural gas production has proven successful and where the infrastructure already exists to support that activity. But the percentage of oil and gas production on the White River Forest is small, he said, and limiting drilling in areas that are hard to reach and where other resource values warrant protection, is not likely to break or even bend the oil and gas economy. 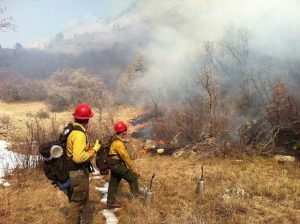 “I have worked on other forests where we have approved tons of drilling applications, especially when gas prices were super high,” said Fitzwilliams, who worked previously as a district ranger in the federal grasslands of North Dakota prior to a becoming WRNF supervisor in 2009. Garfield County Commissioner Tom Jankovsky, who has often been critical of the disparity between oil and gas drilling on private property in Garfield County compared to public land, said he supports the forest decision on future leasing. “Most of our concern deals with the BLM lands,” Jankovsky said of the lower-elevation lands administered separately by the BLM that do have a higher potential for energy development. “The forest just does not have that many acres where there is as much oil and gas potential, and that’s even reflected in our [county] energy plan,” he said. Jankovsky said he was pleased to see most of the area where the 65 existing leases that are under review are located still in the Forest Service’s leasing plan, while removing the Thompson Divide area where the county is opposed to the potential use of Four Mile Road as a haul route. The county also continues to support some resolution regarding the 65 leases that respects the rights of any lease holders whose leases are canceled, and that allows drilling to occur on leases where it makes sense, Jankovsky added. For leases in the Thompson Divide area, he said a buy-out similar to the one recently negotiated around disputed leases on the Roan Plateau west of Rifle seems to be a logical approach.